KAAIMANS RIVER COTTAGE IS PERFECT AS A BASE. 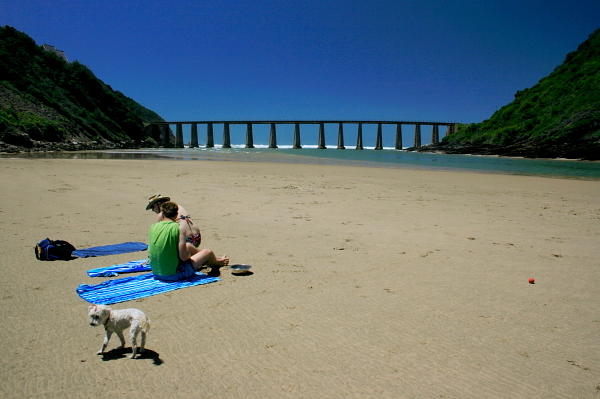 The beach is 5 minutes away by canoe and is a wonderful place to laze, swim in the sea (wait for the incoming tide, and swim in the waves on the land side of the bridge for safety, or enjoy swimming in the river. Spring tide is especially beautiful as the water can turn luminous green. 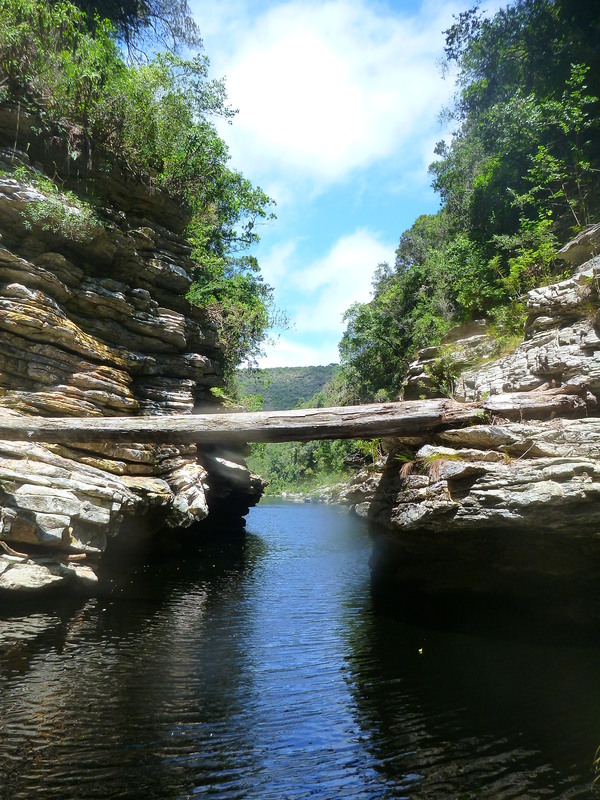 The Kaaimans River waterfall is 5 minutes away by canoe and is a really special place to visit. 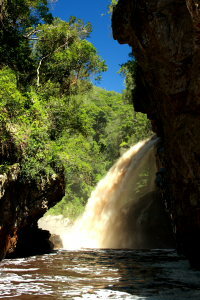 The image shows the waterfall in full flood, however when it is calmer it is fun to swim in the cavernous chamber that the waterfall empties into. For keen swimmers, it is completely viable to swim to the waterfall from the cottage (as I have done many times in my life). It is a lovely swim. Exploring the river by canoe is always a wonderful experience. 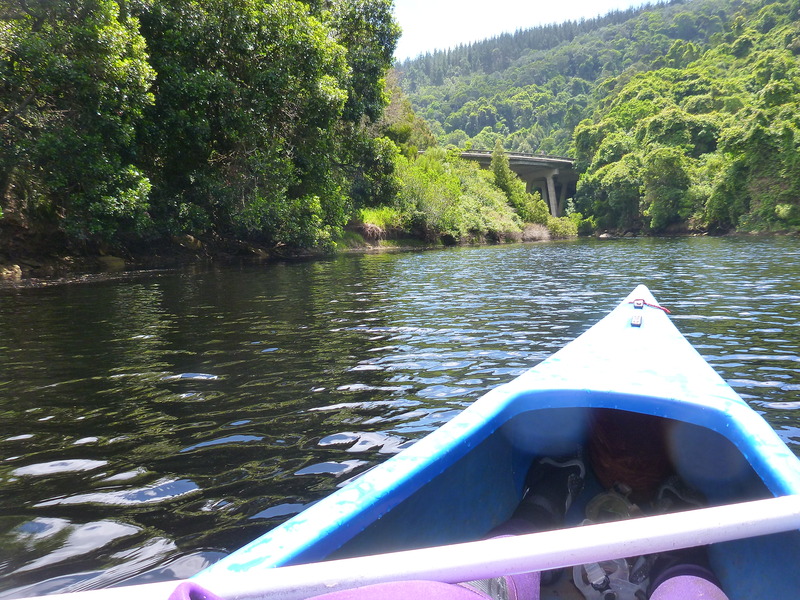 The upper reaches of the river has two branches so you can canoe to the waterfall (this tributary is technically part of the “Swart River” or you canoe up the other tributary to the upper reaches of the Kaaimans River (pictured here). If you are a keen and strong swimmer, familiar with swimming in natural bodies of water (lake, river, sea), you can explore the upper reaches of the Kaaiamans River on foot / swimming. This is past the point where you can take a canoe. The trip can take a few hours. Please use a life jacket, go in a group of strong swimmers and do not venture there if there has been rain in the preceding few days either at Kaaimans or inland. You don’t want to suddenly encounter a flood (entirely possible if it has been raining). Eden Adventures offers guided kloofing if you would like to go with a professional group.